Welcome to the Foodie Extravaganza!! We are a group of bloggers who love to blog about food! And each month we all incorporate one main ingredient into a recipe. If you would like to join our group and blog along with us, come join our Facebook page Foodie Extravaganza. We would love to have you! 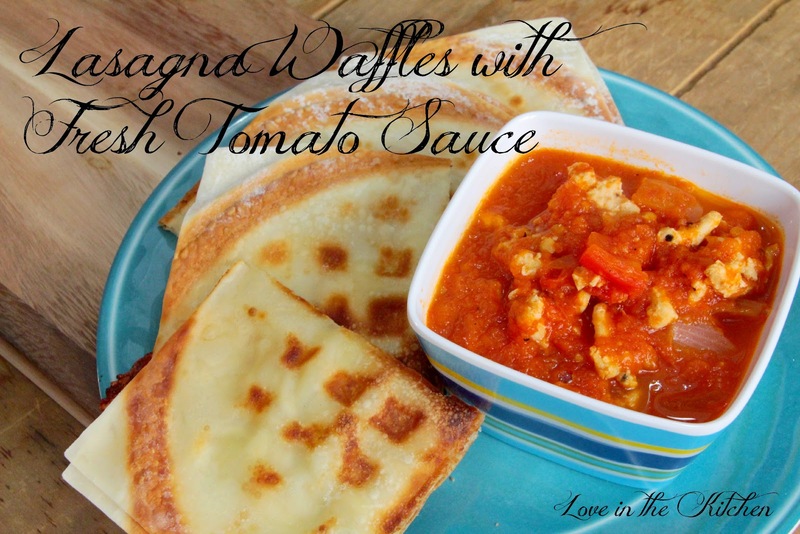 September is National Waffle month and I (along with a bunch of fabulous bloggers!!) am having a Foodie Extravaganza all about Waffles! You can see all of the delicious recipes at the end of this post. I look at these challenges as a way to stretch my creativity. 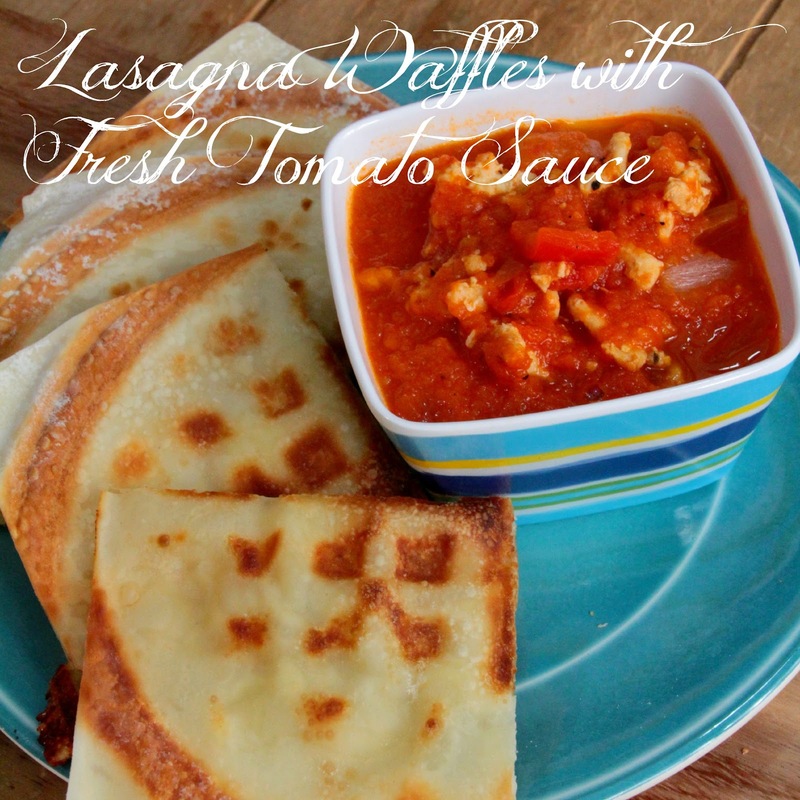 I was pretty excited to have a waffle challenge this month because I've been dreaming about lasagna waffles for a while now. I really like how these turned out - kind of a fun version of an Italian classic. I do think that I might try to take it further next time and use lasagna noodles or perhaps some different cheeses. The options are endless! Mix the ricotta cheese and the egg with 1/4 cup of the parmesan cheese. Spread 2 tablespoons of the ricotta cheese mixture on top of one egg roll wrapper. Place another egg roll wrapper on top of the first, smoothing the cheese mixture to about 1 inch from the edge. Add a slice of mozzarella to the top, and then place a third egg roll wrapper over the top of the mozzarella layer. Set aside and repeat with the remaining egg roll wrappers. Spray both sides of your waffle iron with cooking spray. Place one waffle in the middle of the waffle iron. Close the iron and press down gently. Cook until the light changes on your waffle iron and the waffle is lightly brown. Remove the waffle fo the iron and set on a cookie sheet in a warm oven. Repeat with the rest of the waffles. 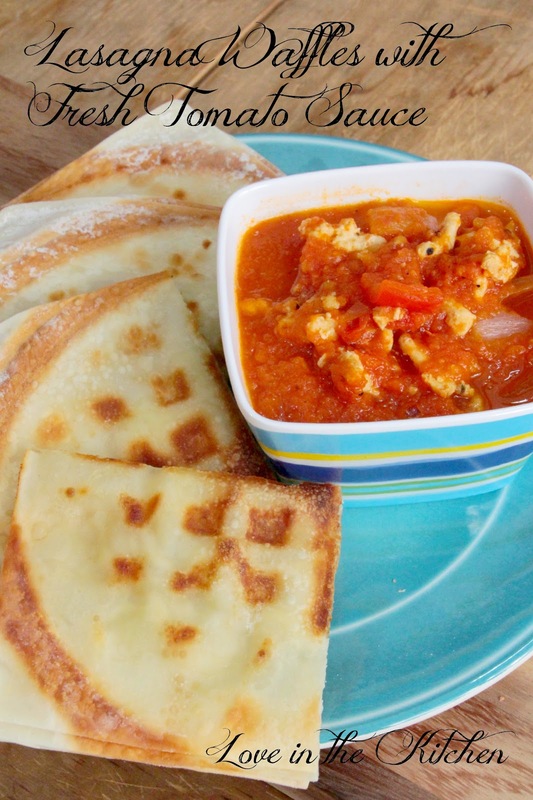 Serve with fresh tomato sauce. 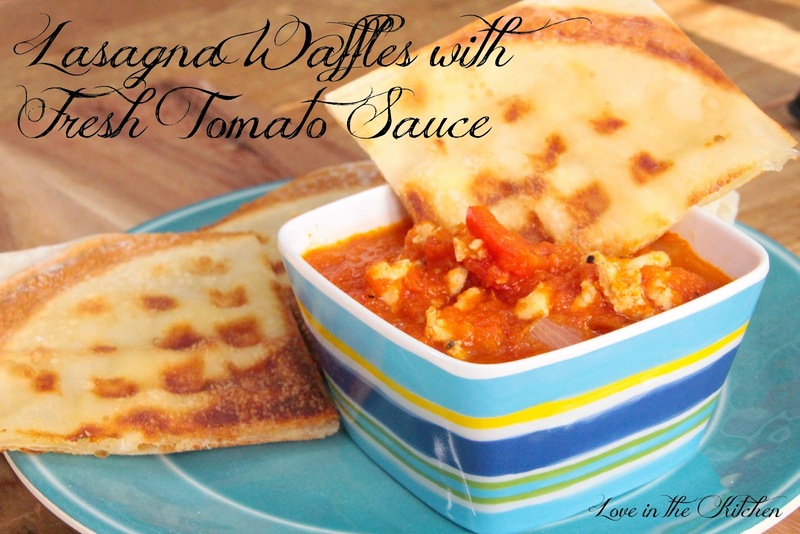 So where's the lasagna waffle recipe? I'm confused, too -- couldn't find the recipe and very intrigued.